For years Lydia Ivanova believed her father was killed by the Bolsheviks. But when she learns he is captive in Stalin-controlled Russia, the fiery-haired girl is willing to leave everything behind - even her Chinese lover, Chang An Lo. Journeying with her half-brother Alexei, Lydia begins a dangerous search. Tension grows between the two, for while Alexei is searching for his past, Lydia is looking for her future. But when Alexei disappears, Lydia is left almost penniless in Soviet Russia - and doubting the choices she has made. Surrounded by dangers, she searches for information and soon finds herself entangled with a Russian officer. But Chang An Lo has not forgotten Lydia. He knows things about her father that she does not. And while he races to protect her, she is prepared to risk treacherous consequences to discover the truth . . . The Russian Concubine and The Jewel of St Petersburg are available to buy NOW in paperback and ebook. Kate Furnivall didn't set out to be a writer. It sort of grabbed her by the throat when she discovered the story of her grandmother - a White Russian refugee who fled from the Bolsheviks down into China. 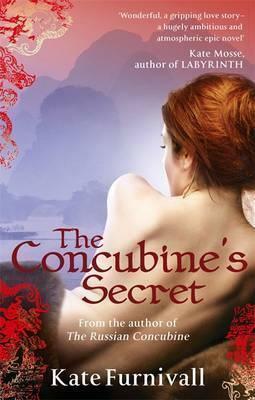 That extraordinary tale inspired her first book, The Russian Concubine. From then on, she was hooked. Kate is the author of eight novels, including The Russian Concubine, The White Pearl and The Italian Wife. Her books have been translated into more than twenty languages and have been on the New York Times Bestseller list.